Very nice cigar case! It looks high quality! It did have a slight imperfection in the wood that you could not see but could feel with your fingers. It was purchased for a gift! I am pleased! Three cigars fit inside the cedar lining of the Bruce in preperation for your enjoyment. 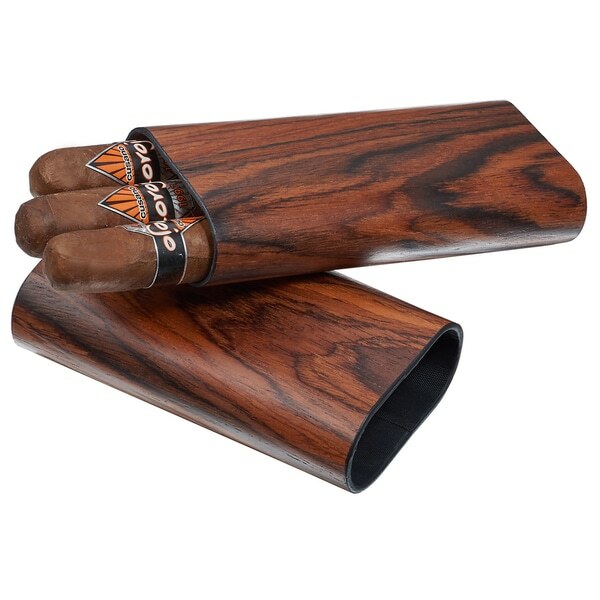 The exterior is handsome in a brown wood finish, that is ideal for those seeking a more manly alternative to other cigar case.